Here is an easy to make quilt - It's even a great starter quilt for a beginner. 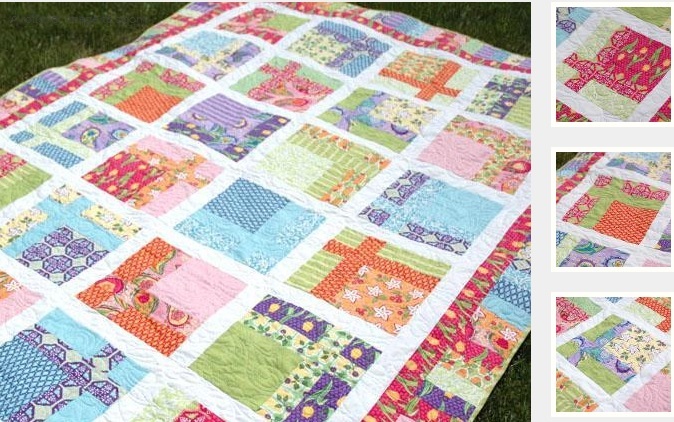 This Topiary Quilt pattern can be made using your scraps and in a variety of sizes even a quilt for baby. 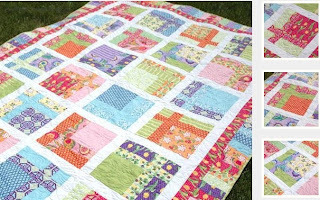 The Free pattern shows how to make the quilt in the finished size of 67-1/2 x 93-1/2 but it can be modified for your quilt. This fun design makes great use of precuts! A stack of 10'' squares and 2-1/2'' strips is all it takes! It's also a great quilt to make for charity events.